In what has been described by host James Corden as "honestly my favourite thing we've ever done on "The Late Late Show," Corden and Vice Principals star Danny McBride recreated the unforgettable 1990 Grammy Awards duet between Kenny G and Michael Bolton. Complete with Kenny’s trademark curls and fist bump, Bolton’s mullet and the biggest lapels money can buy, the pair jammed oh so softly on Bolton’s "How Am I Supposed To Live Without You." The rendition even included vintage audience reactions of Willie Nelson, Liza Minnelli, Brooke Shields, Boyz II Men, LL Cool J, Cyndi Lauper, Smokey Robinson and Michael Jackson, as well as the specific language used to announce the musicians back in 1990. The performance has been covered by Entertainment Weekly, Billboard, Yahoo, Vulture and more. 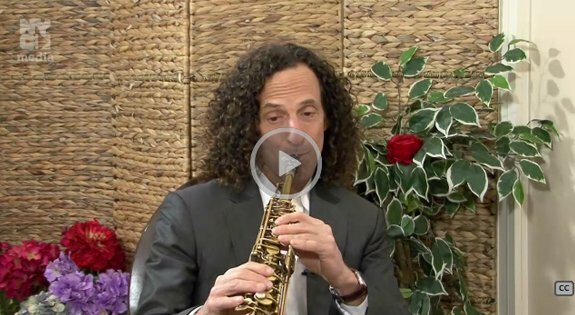 "I LOVED the segment, but I would have been happy to dub in the sax parts for Danny," said Kenny. "His tone was horrible, but his hair was magnificent!"